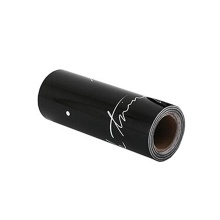 Oil-proof, water-resistant, dust-proof and mouldproof, this aluminum foil sticker is great for tile and kitchen use. Free DIY, easy self-adhesive design and easy to install, just peel and stick. One roll of 3M length and 100mm width stickers. Made of environmental material aluminum foil, safe, odor-free and non-toxic. Water-resistant, dust-proof, mouldproof, moisture-proof and high temperature resistance. Oil-proof, easy to clean and easy to wipe the stain, making your kitchen clean. You can cut it to the suitable length based on your actual needs. Perfectly great for kitchen use to stick it to the hearth and cooking bench.